Hold the can horizontally and shake it from left to right. Hold it upright (or upside down if necessary), hold it about 20 cm away from the hair and/or skin, spray, then spread it evenly. If applying to the face, first spray into the palm of the hand, then apply to the face and spread evenly in small amounts. A wipe-off facial massage gel, designed for beauty salons, which allows the benefits of our Placenta Extract to be better experienced. The gel is scented with a gentle but long-lasting lavender and roman chamomile fragrance, and contains placenta and plankton extract, helping give skin a sense of translucency. - Next, wipe off the cream using a wet wipe or by dabbing gently with tissue paper, and then rinse using warm water. 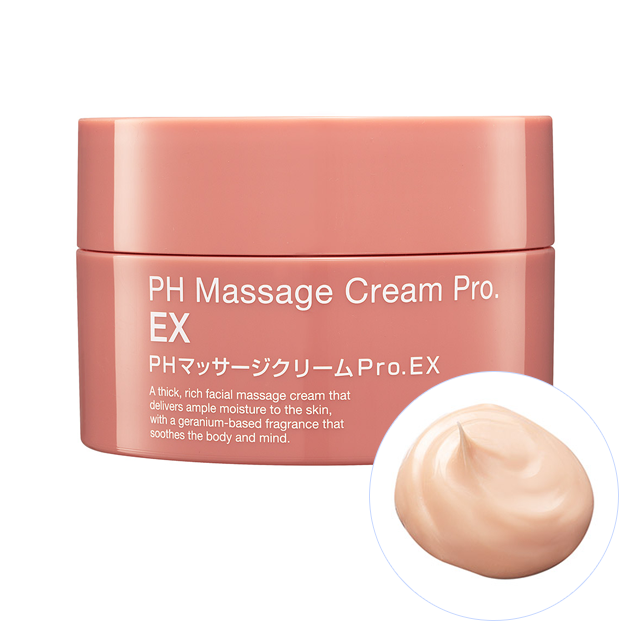 - After using the massage cream, apply Placenta Extract and lotion to the face. The arrival of a cream mask, containing Placenta Extract, developed specifically for facials. Spreads easily over and quickly fits the face. 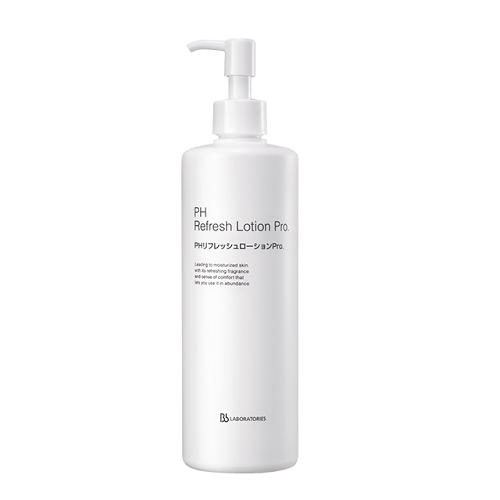 Gently calms post-massage skin to deliver skin that’s deeply hydrated, plump and firm. The beauty ingredients such as placenta, work on the skin to deliver firm and radiant skin. Addresses even dull skin, delivering sheer skin that’s one shade lighter. Take the equivalent of 2 to 3 soy beans onto the palm of the hand and apply over the entire face, so that the fingers cover the skin, avoiding the skin around the eyes and lips. After 15 to 20 minutes, gently remove with a sponge or warm towel, or wash off with cold or lukewarm water. 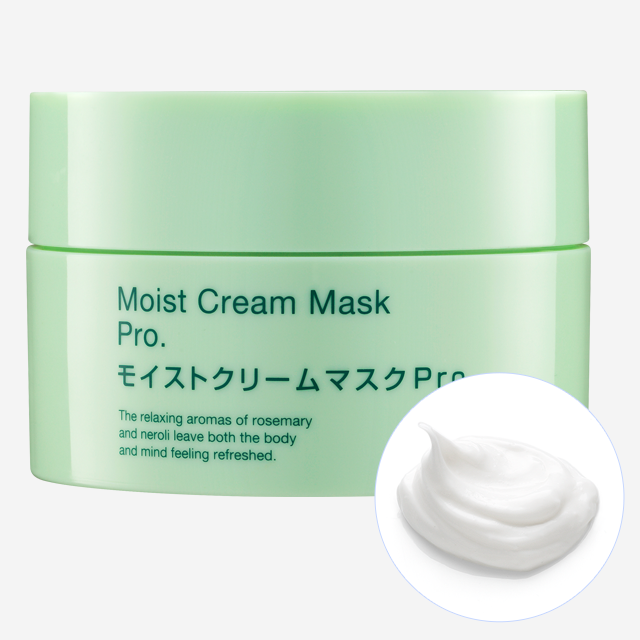 A salon quality, specialized mask delivering hydration and firmness to the skin around the eyes and mouth where signs of ageing are particularly noticeable. After applying lotion, place the sheet mask on your concern areas such as around the eyes or corner of the mouth and leave it about 10 minutes. After mask, please apply gel or cream. A body care product joins the extremely popular Pro. Series! 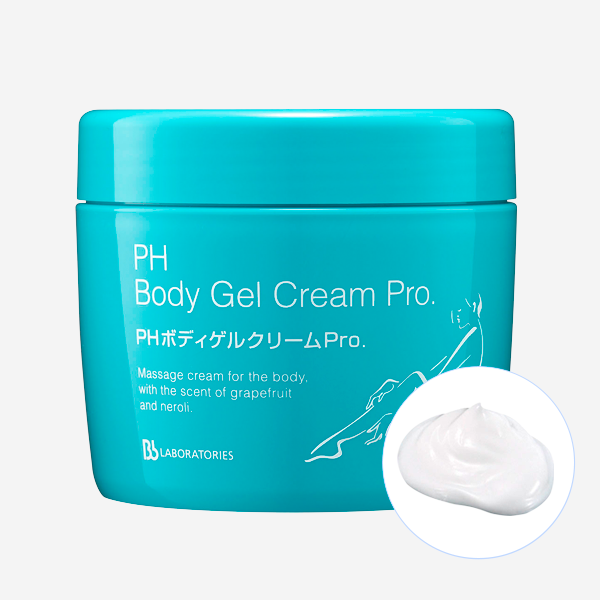 This body gel cream addresses loose and sagging skin to deliver skin that’s beautifully firm. 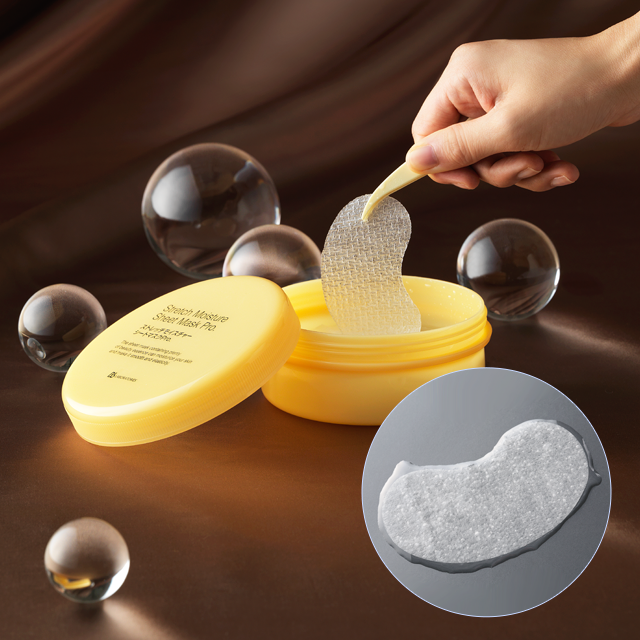 It has a smooth feel and is incredibly spreadable, making it ideal for a body massage. It is easily absorbed and doesn’t need to be rinsed off. Massaging with the cream instantly refreshes and delivers a beautifully lustrous body. Take an appropriate amount onto the palm of the hand and massage into the areas of concern. After washing the face and applying Placenta Extract, take the equivalent of a large coin onto the palm of the hand and pat over the entire skin, allowing the liquid to absorb. Polishing yourself starts with polishing your skin. Three different types of clay remove dirt and impurities to deliver smooth, moisturized skin. Indulge in serious body care while in the bath! Formulated with fruit acid to exfoliate. The more you use it, the more your skin is transformed! After washing the body with a body wash, take an appropriate amount onto the palm of the hand, and apply to areas of concern in a massaging movement, and then thoroughly rinse off. 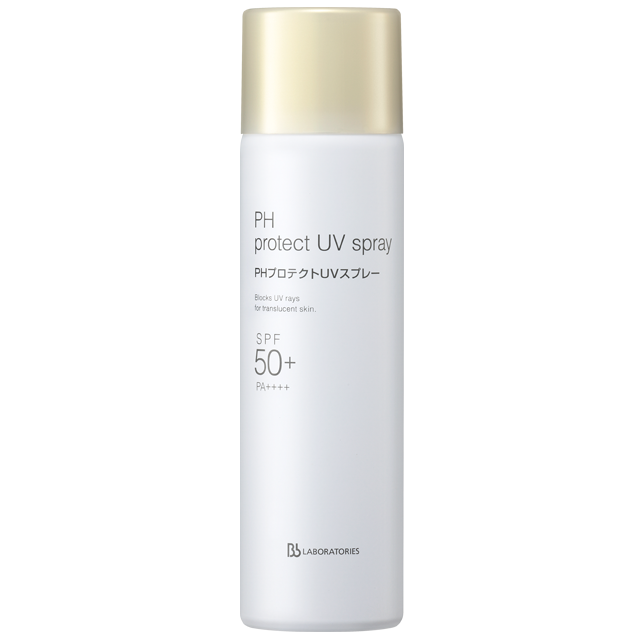 A massage cream that cares for skin experiencing stress from the environment: UV rays, pollution, etc. Gives the skin a smooth, silky texture and removes dirt from pores. Helps skin appear clear and radiant. Feminie ylang ylang fragrange. 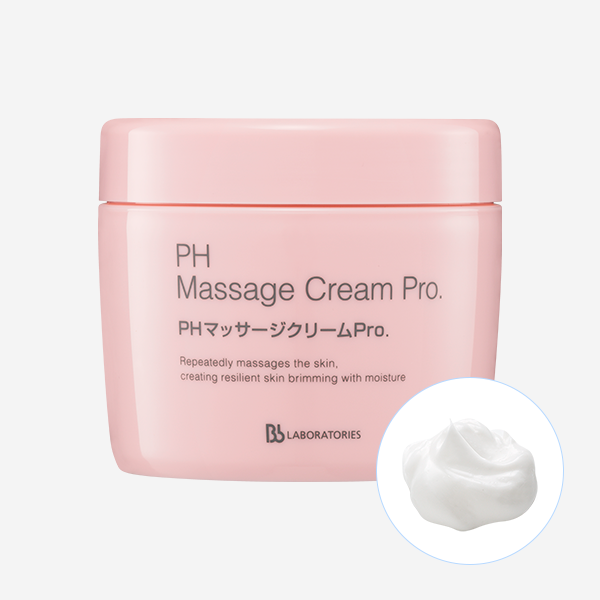 ※PH Massage Cream Pro.” is only available in China. After the massage, use wet wipes to remove the cream or press gently with tissue, then wash off completely with warm water. ©Bb. LABORATORIES inc. All Rights Reserved.